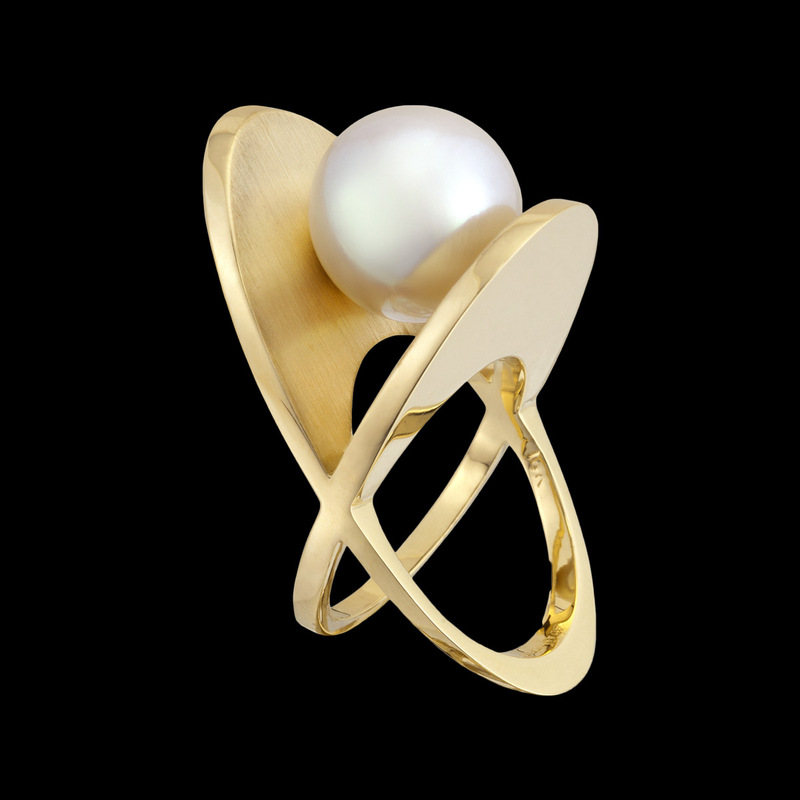 XOX pearl ring features classical elements with bold sculptural lines. This unique ring design features a lustrous South Sea pearl resting between dynamic planes of rich yellow gold. To purchase, call (949) 715-0953 or use our contact form below.